Pressure Lube International (PLI), in conjunction with Valve Sales Australia (VSA), will announce their exclusive sales and service association with Mir Valve, a newly incorporated Malaysian valve manufacturer, at the 2009 Australasian Oil and Gas Exhibition to be held in Perth, Western Australia. Valve Sales Australia, set up to provide high quality 'end to end' valve supply, service and repair solution, are sole distributors for MIR Valves in Australia and will draw on the expertise of Pressure Lube International as the sole service agent. Pressure Lube International have more than 15 years of experience in the on-line valve lubrication and sealing services business, specialising in on-site repairs for both large and small operations in Australia, New Zealand, UK and the Middle East. Pressure Lube International also manufacture fittings, adaptors, safety tools, pumps and equipment for valve maintenance, as well as providing comprehensive on-site training. Pressure Lube International’s client list includes BP, Santos, Alinta, Apache Energy, Maersk Oil, Saudi Aramco and Occidental Petroleum. 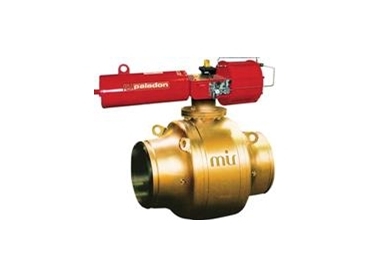 MIR Valve are newly formed valve design and manufacturers based in Malaysia. MIR Valve are approved and accredited with ISO 9001 No: 224939 and API 6D certification No: 6D 0840. With AST SpA, Milan (former ex-Grove engineering team) as a shareholder and technology partner, MIR Valve have developed a range of Italian designed valves, which are now available through Valve Sales Australia.